In 2011, Malagasy photographer Emmanuelle Andrianjafy (1983) arrived in the harbour city of Dakar, situated on the westernmost African coast, overlooking the Atlantic Ocean. This relocation marked the beginning of her interest in photography. In this new environment, Andrianjafy felt disoriented and confused. She took up a camera and immersed herself in the city. Her pictures have different photographic ‘languages’. She captures the world in black-and-white as well as in colour, and uses both carefully constructed pictures and snap shots, which are often shot through her car window. Embracing the chaos of an unfamiliar world, Andrianjafy takes us on an exploratory journey through Dakar, a metropolis in constant flux between construction and deconstruction. For her, photography seems a way of finding a place she now calls home. In the series 'A Place to Call Their Own', Dakoua looks at LGBTI life in Mozambique and the Ivory Coast, two countries that have recently decriminalized homosexuality. The series was shot in Abidjan and Maputo in 2015 - 2016. 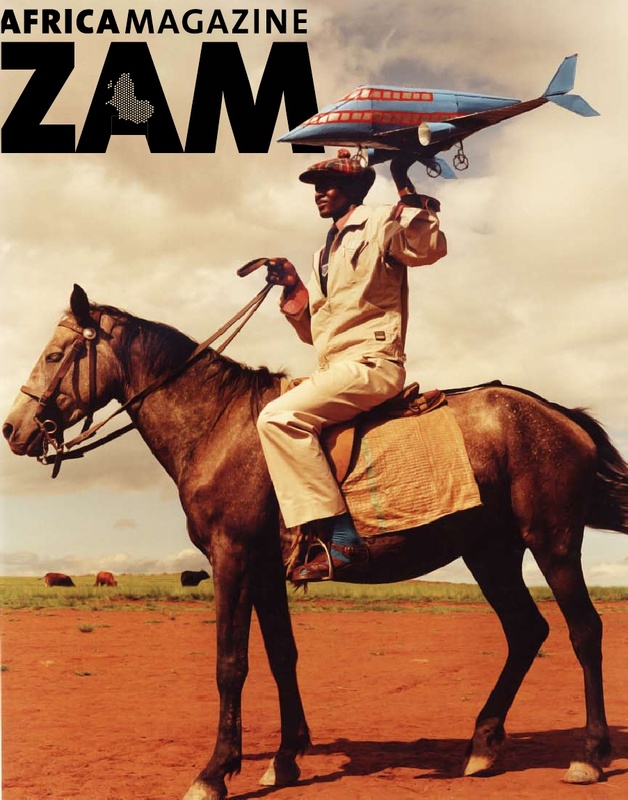 In 2006, ZAM featured the first works of Zanele Muholi. Amongst them: a self-portrait almost hidden in the clouds of a happy smoker. Our publisher at the time cried rage, we were at the peak of the war against nicotine. Muholi, naturally, shuns the conventional. Ten years later, the issues of our time – identity, race, white privilege and cliché – are at the heart of a new series. The multiple award winner, honorary doctor, internationally renowned visual activist enters a clash with who we are and how we perceive the world around us. It's profound and disturbing, and so good. A real smoking gun!